Lower Saxony's Prime Minister Stephan Weil has told Sputnik that he supports the lifting of sanctions against Russia. He has also criticized the new US sanctions since a Russian connection to the Skripal case hasn't been substantiated. Sputnik: Mr. Weil, in your speech you mentioned Ostpolitik as a good tradition of the SPD; you also mentioned the polls which show most German citizens are for good relations with Russia. Wouldn't it be obvious for the SPD to go on calling for that and thus reach more people? Stephan Weil: That's true. In fact, the SPD has been advocating for a dialogue, cooperation, and partnership with Russia for many decades. This position has very strong backing in German society which is shown by surveys, regardless of the electorate's [political] preferences. I believe that it would be good for the SPD to stick to this policy. I totally agree that we should stress the importance of this policy even more. 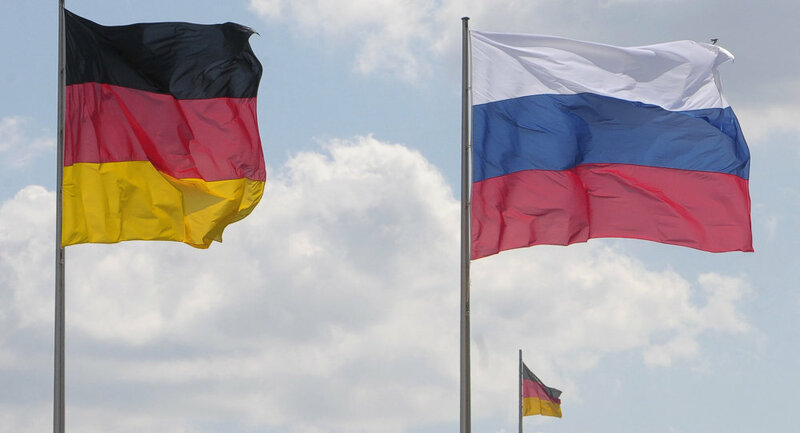 German society, to a large extent, supports the idea that we need good, friendly, relations with Russia. Sputnik: Does the German Foreign Minister understand that? Stephan Weil: There is agreement on this. Sputnik: You have the great advantage of having someone who knows more than any other German about Russia, namely Gerhard Schröder. Do you use this potential to personally get to know Russia? Stephan Weil: I have great respect for Gerhard Schröder's work. However, my personal relations with Russia are essentially based on my regular visits to the country. I've been Lower Saxony's Prime Minister for five and a half years now, and I believe that I visited Russia four times during that period, and I'm going to travel there again this year. I want to stress that Lower Saxony is really interested in sustainable and lasting relations with Russia. And if you want to maintain relationships, then you have to see each other. Sputnik: Given the current US trade war situation, is it not the time to reactivate the concept of the Free Trade Area from Vladivostok to Lisbon? Stephan Weil: It's obvious that if the European Union is now signing free trade agreements with many of the world's regions, we also need to think about how to do that within Europe. And Russia is part of Europe despite much of its territory being in Asia, but I believe the idea of creating a large European free trade area is still really appealing. This is certainly not a project to be implemented overnight, but the fact that we talk about it again seems quite telling. Sputnik: Your Eastern German counterparts, economic authorities, and some policymakers are also opposed to the sanctions. What do you think the chances are of at least reducing these sanctions? Stephan Weil: The Berlin coalition agreement says that with the further implementation of the Minsk agreement, there is a hope that in some way it will be possible to reduce sanctions. That would certainly be the right way to go. We need to stress that these arguments that we are talking about have not been provoked exclusively by the West, but Russia, with its actions in the Crimea and Ukraine, has also contributed to them. It's very rare that only one side is responsible for a conflict, and this case is no exception. Sputnik: Volkswagen and other big companies are present in Russia now. The new US sanctions may also affect third parties, such as German companies. Is this a serious threat to the German and Lower Saxon economies? Stephan Weil: There certainly is some risk. We are worried that sanctions are becoming a kind of a political tool in current conflicts. And of course, that spoils good economic and political relations. The economy needs stable framework conditions, and the constant threats of new sanctions are the opposite of that. The US now plans to impose new sanctions over Russia's alleged use of warfare agents, and I have a lot of questions in this regard. I'm a lawyer and I believe it's very important for any allegation to be substantiated. And even in this regard, I don't think that further sanctions could lead to greater political progress than we have experienced in the past. Actually, the opposite is true. We don't need more sanctions. We need more cooperation and more dialogue.